The Spokesman Review's Spokannabist becomes EVERCANNABIS. The Spokesman-Review marketing team launched the state's first general cannabis news magazine, Spokannabist, in May 2016 focusing exclusively on the legal cannabis industry. This was a bold experiment for one of the largest and oldest newspapers in Washington. 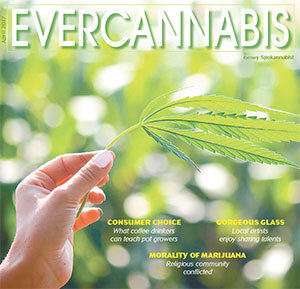 The new name of the magazine is EVERCANNABIS, and the publication provides an insightful, objective, interesting and even entertaining look at Washington state's legal cannabis business and community each month. EVERCANNABIS will continue covering the Spokane area, but will be expanding coverage and distribution throughout the Washington State. It comes out in The Spokesman-Review on the last Friday of each month. The website is www.evercannabis.com. De Leon Foods has announced a new restaurant in North Spokane, called De Leon's BarTaco. 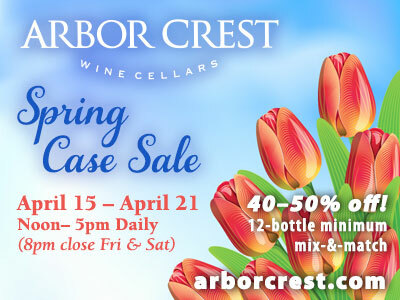 They are planning a June opening in Whitworth Square shopping center at 10208 N. Division suite 110. Deleon's BarTaco menu includes their most popular tacos, burritos, guisados (stewed meats). De Leon Foods, which includes two grocery stores with restaurants, is locally owned and operated by the De Leon family. The company also produces their own tortillas and tortilla chips which are served in their restaurants and also sold wholesale to a number of area restaurants. For more information go to deleonfoods.net. The KXLY4 News believes that great stories take kids to amazing places and teaches them incredible things to prepare for their bright futures. That is why they partnered with ABC and First Book for the Magic of Storytelling campaign. Working with 19 different businesses to sponsor 38 local schools they were able to bring 15,000 books to area kids. Too many kids don't have books of their own at home and at school which makes it hard for them to succeed, but with this donation many are now on the right track. The response to this year's campaign was overwhelmingly positive and next year's promises to be even bigger. 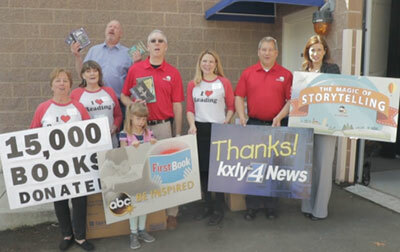 For more information and to find out how you can help give stories that change lives, check out KXLY.com/magic-of-storytelling. 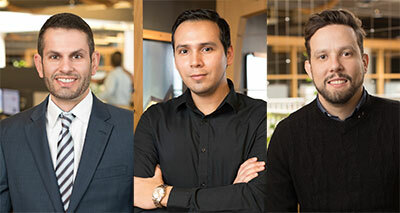 Esteban Barrientos Guzman has joined ALSC as an Architectural Designer. He earned his Bachelor's Degree in Architecture and Urbanism from the Universidad Interamericana de Costa Rica in 2009. Esteban is currently on ALSC's design team for the Northern Quest Resort & Casino expansion project. Fernando Camargo has joined ALSC as an Architectural Designer. He earned his Master of Architecture from Washington State University in 2016. Fernando is applying his design and graphics expertise to projects including the Columbia Basin College Student Housing Complex and the CHAS Spokane Valley Clinic. Andrew Leeper has joined ALSC as a Project Architect. He earned his Master of Architecture from Montana State University in 2006. Andrew's current projects include improvements to the Whitworth University Pine Bowl. Rockwood Retirement Communities has received two awards relating to The Summit at Rockwood South Hill. Senior Housing News recognized the project with the 2016 Best Renovation/Repositioning Award, and National Associated Builders and Contractors' Excellence in Construction Awards recognized the project with the Eagle Award for Residential: Multi-family and Condominium Projects up to $100 Million. Along with building contractor Walker Construction, design architect Perkins Eastman and executive architect NAC were also recognized for the project. The Summit project was more than 10 years in the making, and opened in March 2016. In response to increased demand for independent living, Rockwood South Hill took on a major construction project to repurpose the campus by building an 11-story high-rise in the middle of its 90-acre campus. The Summit offers 65 independent luxury apartment homes, and this project included the addition of main floor amenities for all residents which include multiple dining options, a wellness center, art studio, library, theater, and event center. 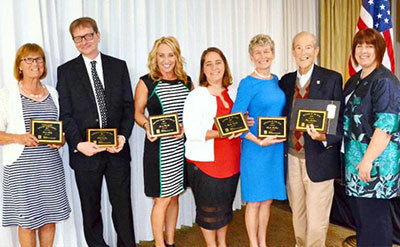 Steve Flinn REALTOR Achievement, Susie Luby, John L. Scott Spokane; Citizen of the Year, Rob Curley, The Spokesman-Review; REALTOR Community Service, Jenny Moeller, CitiBrokers LLC; Partner of the Year, Kathy Sattler, Anatek Labs; Affiliate of the Year, Beale Luebben, Home Warranty of America; REALTOR of the Year, Tom LaLone, John L. Scott Spokane; 2017 SAR President Jennifer Valerien, RE/MAX Inland Empire. Numerica Credit Union announces new hires to staff in order to help members live well. Kelly Crawley was recently promoted to manager at Numerica's Airway Heights Branch. She has been in the finance industry for over 17 years, 13 of those years at Numerica and most recently the assistant branch manager at the Lyons branch. Numerica has hired three senior home loan officers, Debbie Krum, Mark Quillin, and Linda Dean to join their home loan center team. Krum has over 12 years of experience in the financial industry and was most recently a mortgage lender at INB. Quillin brings over 20 years of experience in providing expert level care by delivering tailored lending solutions. He was most recently at Wheatland Bank. And, after 17 years as a realtor, Dean traded in her license for another as a mortgage lender. With five years of experience, she joins Numerica from Heritage Home Loans. Coffman Engineers has announced that Spokane-based electrical engineering firm DEI Electrical Consultants will join Coffman Engineers. The two firms share core markets, clients, and values in providing technical excellence and service. Their combined capabilities provide clients with significantly bolstered electrical engineering capabilities. DEI brings ten new staff members to Coffman, nine technical staff and one administrative staff member. The addition of DEI brings Coffman's Spokane presence to more than 100 staff members. The ten members of DEI became Coffman employees on May 22. They will remain in their current office location on Woodruff Rd. 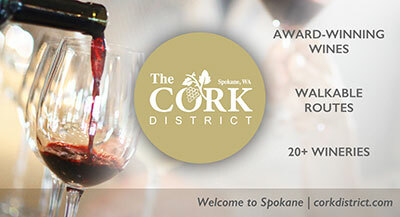 in Spokane Valley until early Fall 2017. DEI owner, Steve Helms, will become a Principal Advisor for Coffman.